Coca-Cola to distribute protein shake in select U.S. markets. Originally marketed as Athletes HoneyMilk in Colorado and Texas, the new protein shakes will be delivered in select markets via Coca-Cola Refreshments‘ distribution system. Whether you have just wrapped up a high intensity kick boxing workout, a long run, a bike ride or just a relaxing walk after a full day, nothing supports rapid recovery better or more deliciously than the smooth, clean taste of all new Core Power. This great tasting high protein milk shake starts with fresh, natural, top quality real milk and honey and is never made from powdered protein that leaves a chalky aftertaste. Core Power’s unique ratio of 20 percent whey and 80 percent casein is the same ratio that is naturally found in milk. Core Power is produced and marketed by Fair Oaks Farms Brands, which is owned by an independent group of 87 American family farmers dedicated to producing the highest quality health & wellness products in a way that is responsible to the health of people, our environment and the planet. Originally marketed as Athletes HoneyMilk in Colorado and Texas, the new Core Power line of products will be delivered initially in select markets via Coca-Cola Refreshments’ world class distribution system. “This new brand is part of an exciting category for consumers and retailers that is still in the early stage of its growth potential,” said Deryck van Rensburg, President of Coca-Cola North America Venturing and Emerging Brands (VEB) who views this as another great example of how the Coca-Cola system participates in the development of the next generation of beverage brands. 26g Honey – Crisp, clean & refreshing, honey’s natural energy comes from both fructose and glucose. 26g & 20g Chocolate – Enjoy the intense, comforting and flavorful characteristics of chocolate milk. Vanilla 26g – Satisfyingly delicious, reminiscent of the rich goodness of vanilla ice cream. Strawberry Banana 20g – Vibrant strawberry and fresh, smooth banana, sweetened with just a touch of honey. All five drinks are lactose and gluten free. Simple and natural on the inside, Core Power flavors also feature a fresh, modern look on its packaging, adding energizing refinement to any occasion. Fiber Basics. Fiber is found only in plants, such as fruits, vegetables, and grains. Fiber is found only in plants, such as fruits, vegetables, and grains. For children 3−18 years old, add “5” to their age in years. So, for children 7 years old, they need at least 7+5=12 grams (g) of fiber/day. What else should I know about fiber? Increase the amount of fiber in the diet slowly, so you do not develop a crampy, bloated stomach. Make sure to drink plenty of liquids as you increase your fiber intake. Many different forms of fiber exist, so you should eat a variety of high-fiber foods and whole-grain breads and cereals to get all of the benefits. 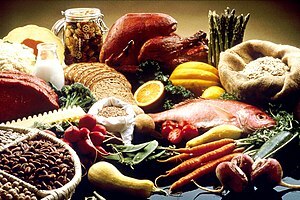 How can I increase the amount of fiber in my diet? *Data obtained from a variety of sources, including Nutrition Facts food labels and US Dept of Agriculture (USDA) food databases. Numbers may vary slightly depending on source of data. Mayo Clinic. Dietary fiber: essential for a healthy diet. Medscape Today. : The Health Benefits of Fiber: Dietary Fiber Recommendations. Most athletes are interested in increasing muscle mass to enhance their strength and power. There is a lot of confusion as to how to go about increasing muscle size and function. Here is a step-by-step guide to muscle growth. Muscles need stimulation to grow. Seek expert advice from a reputable strength coach. Look for someone with at least a Level 2 coaching qualification who is recommended by other health professionals. Adjust your program as your strength develops. Everyone is after quick results when it comes to muscle development but the reality is that muscles take time to grow. Everyone has a different genetic potential to develop muscle mass so your goals must be realistic for you. Gains usually occur relatively quickly at the start of a training program then slow down as the body adjusts. Most athletes want to increase muscle mass while simultaneously decreasing skinfolds. This is difficult to do, as one goal is a product of a negative energy balance (intake that is less than requirements), while the other is best achieved in the face of a positive energy balance. It is important to prioritise body composition goals. To gain muscle mass effectively, a positive energy balance of at least 2000-4000 kilojoules per day is required. This calls for a general increase in dietary intake. However, carbohydrate is the first nutrient to focus on, since muscle must be fuelled to do the training to stimulate muscles to grow. It is also important for athletes trying to gain muscle mass to meet their increased protein needs, but huge protein intakes are not required. In most cases, a high-energy diet that provides 1.2-2g of protein per kilogram of body mass will ensure that protein needs are met. These protein intakes are easily met by consuming a varied diet that meets your energy needs. Consuming protein above this level does not have an anabolic effect. Excess protein will be oxidised as an energy source and may contribute to gains in body fat. Very high protein diets displace other important nutrients from the diet and can be a source of saturated fat. Although it is important to achieve energy needs, a high-energy diet should not be seen as an excuse for gluttony. Excess consumption of high-fat foods can lead to excessive energy intake, and a greater risk of gaining fat mass rather than muscle. Increasing your energy intake is not always easy. Many athletes with high-energy needs are surprised to find they consume less than they think. It requires considerable organisation and commitment to consistently consume a high-energy intake. This includes having a planned approach to shopping and cooking to ensure appropriate foods are available, and carrying snacks around during the day to avoid missing snacks or having to rely on less suitable options. Eating more frequently, rather than increasing the amount of food you consume at each meal, is a more effective way to ensure an increase in food and energy intake. Athletes who try to cram their nutritional needs into three meals will often suffer stomach discomfort from the sheer size of meals and end up abandoning the plan. Compact snacks and high-energy drinks offer an efficient way to top up between meals without filling up. Good choices include milk shakes and fruit smoothies, liquid meal supplements, cereal and sports bars, and flavoured dairy foods such as yoghurt. Increases in body mass of 2-4 kg per month are generally considered achievable but individuals can respond differently to strength training. It is important to be consistent with your training and your diet. Some athletes fall into the trap of training and eating well for a couple of days then slacking off for a couple of days. A spasmodic approach to training and nutrition will slow your progress down. There are numerous supplements available on the market which promise to increase muscle mass and strength. The majority of these products and their claims are not based on scientific evidence and are, therefore, a waste of money. Although protein powders are all the rage in muscle building circles, these products are generally too low in carbohydrate, excessive in protein – and too expensive. However, there are a small number of supplements that may be useful for some athletes under specific circumstances. For most people wanting to increase muscle mass, the most useful supplement is one that provides carbohydrate plus moderate levels of protein and other nutrients. The AIS uses PowerBar Protein Plus powder for athletes needing to consume extra nutrients to bulk up. This has a good balance of protein and carbohydrate. Before using any supplement seek expert advice regarding the efficacy, safety and legality of the product. Sports dietitians can provide qualified advice and information on the AIS Supplement Program can be found in the Supplements section of the AIS Sports Nutrition website. The Australian Sports Drug Agency is also a source of information. Individuals can respond very differently to training and nutrition programs. Some degree of trial and error is always required. The meal plan below provides an example of the type of food intake required to support a strength training program for a 70kg athlete. However, the plan will not suit everyone. A sports dietitian can help to develop an individualised plan to suit the specific needs and goals of each athlete. Sports dietitians can also help monitor changes in skinfolds, weight and girths using a reliable technique. These results will help the athlete to assess their real progress in changing body composition. The Sports Dietitians Australia (SDA) website provides details of qualified sports dietitians throughout Australia. Walt Disney Co., acknowledging the powerful role that television can play in influencing children’s behavior, announced that it has instituted a junk-food advertising ban on programs for kids. 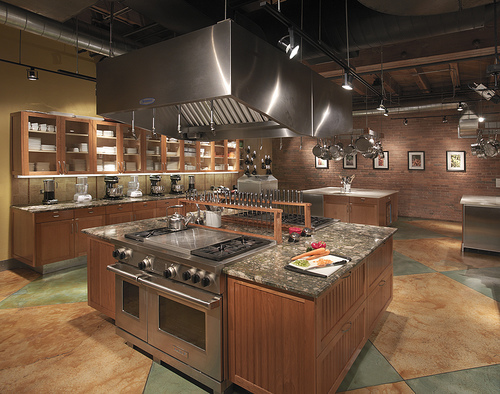 Your kitchen is the center of your nutritional hub. It’s where you make your decisions on how (and how often) to fuel your own body, and the bodies of others you may be responsible for feeding. For some of you, it’s also the place where meals are served and consumed: at a bar or island, for example, or a casual kitchen table. First of all, there’s a reason that McDonald’s, Burger King and every fast food restaurant known to man incorporates red and yellow in their logos and décor. Want to guess why? Let’s start with yellow. 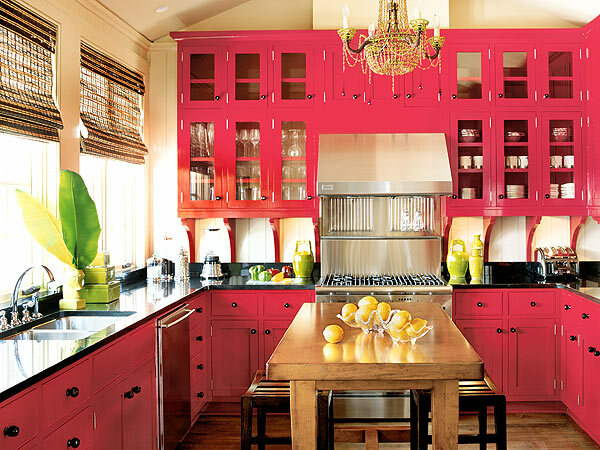 This cheery hue is good for optimism and hope. But it also stimulates the appetite, pure and simple. You just thought you wanted a salad … now you want a Big Mac with fries. Yellow is happy, but to overweight people, it can also be a tad dangerous when applied to kitchen walls. Better to let a good workout stimulate the appetite than the mere presence of a color. Unless, of course, you are underweight. Need to beef up? Head for the yellow section of the paint store and slather it on. Think butter, egg yolks, lemons … mmm, I’m getting hungry already. But yellow helps the memory, so it could be useful if mom’s not available for a recipe consult. Orange stimulates learning. If you’re a new cook, or aspiring chef or nutritionist, opt for orange. As for red, it is a complex color, perhaps the most of all. Red engages us and brings out our emotions. Here’s the amazing thing about this color: to calm people, it is exciting, in a good way, a little thrilling. But for folks who are more anxious in nature, red is disturbing. The last thing you want is to be disturbed eight to 12 times a day, so be honest with yourself about your nature, and that of others with whom you may live. Red walls trigger the release of adrenaline (which can be good for cooking, I suppose). And like yellow, it also stimulates the appetite, while simultaneously stimulating the sense of smell. Red walls can also increase your blood pressure and breathing rate. Blue is opposite of yellow, on the color wheel, and in terms of appetite. It decreases blood pressure, the breathing rate, and the desire to eat, as do indigo and violet. So if you’re determined to drop 20, 30, even 40 pounds … coat your walls in hues of blueberries, grapes or plums. This will also remind you to eat antioxidants, which is a good thing. You win on two counts! Pink is also proven as a winning weight-control color, at none other than prestigious Johns Hopkins Medical University in Baltimore. Violet is known for its ability to create balance. So as you’re planning your menus or dishing out portions of lean protein, fresh veggies and multigrain bread, look to your walls for inspiration. (Violet is also good for migraine sufferers). This brings us to green, the color of all things fresh and good for our bodies. Green is relaxing, and also creates a sense of balance. It relaxes the body, and helps those who suffer from nervousness, anxiety or depression. Green may also aid in raising blood histamine levels, reducing sensitivity to food allergies. Antigens may also be stimulated by green, for overall better immune system healing. Placing your sunlit fresh herbs near a green wall brings the outdoors in. That might also make you think about starting a garden, going for a walk or run, or cycling around the neighborhood. Brown enhances a feeling of security, reduces fatigue and is relaxing. Black is a power color. If you have six-packs and you know it, raise your hand. Gray is the most neutral of all colors for the kitchen: not much happening there. Brighter hues inspire creativity and energy, while darker colors are peaceful and lower stress. Beige and off-white are “learning” colors. News that Bodybuilding.com has pled guilty to selling dietary supplements spiked with steroids – and agreed to pay a $7m fine – proves the FDA is “not blowing smoke” when it says it will crack down on adulterated products, says one analytical testing expert. James Neal-Kababick, director at Oregon-based Flora Research Laboratories, was speaking to NutraIngredients-USA after Bodybuilding.com and former president Jeremy DeLuca pled guilty to introducing and delivering misbranded drugs into interstate commerce between March 2006 and September 2009 at a federal court in Boise, Idaho. As part of the plea, Bodybuilding.com has agreed to pay a $7m fine and DeLuca $600,000. Chief executive Ryan DeLuca has already agreed to pay a $500,000 fine after pleading guilty to selling misbranded drugs in April. Ryan DeLuca will be sentenced on June 20, while Jeremy DeLuca will be sentenced on August 1. Neither are expected to receive a custodial sentence. Neal-Kababick, who recently alerted the trade to the threat of dangerous stimulants in so-called ‘bath salts’ making their way into the supplements trade, said: “This shows the tide is not only turning but is turning into a tsunami. “There is no safe harbor as science continues to shine a light in every dark corner where clandestine activity resides. “This landmark case combined with the statements and guidelines for retailers show that FDA’s Office of Criminal Investigations and the AG’s Office are not blowing smoke. They expect retailers to take on the responsibility of assuring that they are selling compliant products. The Bodybuilding.com case should serve as a wake-up call to other retailers, he added: “I expect that a demand and drive for proof of quality laboratory testing will be pushed upstream from retailers to manufacturers to ensure that they are taking reasonable action. The plea agreements state that between March 2006 and September 2009, Bodybuilding.com sold five products misbranded as dietary supplements, when they were in fact drugs. They were: I Force Methadrol, Nutra Costal D-Stianozol, I Force Dymethazine, Rage RV5, and GeneticEdge Technologies (GET) SUS500. The products were drugs because they contained synthetic anabolic steroids or synthetic chemical clones of anabolic steroids that were not dietary supplements and because they were labeled and promoted as products intended to affect the structure and function of the human body by building muscle mass. The plea agreement also says that from 2007 to 2009, the FDA compliance officer at Bodybuilding.com told the firm’s bosses that some pro-hormone products sold on its website contained ingredients that did not qualify as dietary supplements. As for the manufacturers of the supplements, several have already been fined, said Olson. In May 2011, California-based Tribravus Enterprises (doing business as IForce Nutrition) was sentenced in Idaho for distributing the products 17aPheraFLEX, Dymethazine and Methadrol as dietary supplements when they were in fact misbranded drugs. In January 2012, California-based R&D Holdings LLC (doing business as Culver Concepts, Bradley Asgard, and Bjorklund) and Nevada-registered DCD LLC and subsidiary Advanced Muscle Science were fined for selling “synthetic steroids masquerading as dietary supplements”. The supplements in question were Microdrol, Methyldrostanolone and Orafinadrol 50 from R&D Holdings, and Dienedrone and Liquidrone from Advanced Muscle Science (DCD LLC). The above products were all sold via Bodybuilding.com, which is based in Meridian, Idaho. The largest online sports nutrition company in the world? Ryan DeLuca sold most of the company to Liberty Media, which owns the QVC home-shopping cable network, in 2008. Today Bodybuilding.com markets itself as the “largest online sports nutrition company in the world”. Summer Snacking can be FUN, EASY & Healthy! Craving a sweet, frozen treat this summer? This recipe will satisfy the sweet tooth and provide an excellent source of vitamin C. Both kids and adults are sure to love it. Line a baking sheet with wax paper. Cut the banana into ½-inch thick rounds. Place in a small bowl and toss gently with the orange juice. May 31, 2012, 10:40 a.m. In a letter to association President Audrae Erickson made public Wednesday evening, the federal agency told the industry group that using “corn sugar” on nutrition labels could even prove dangerous for customers who suffer from fructose intolerance. The FDA also considers sugar to be a “solid, dried and crystallized food” while syrup is “an aqueous solution or liquid food,” wrote Michael M. Landa, the agency’s director for the Center for Food Safety and Applied Nutrition. The nearly 2-year-old petition argued that consumers inaccurately assume that high-fructose corn syrup has more calories, fructose and sweetness than sugar. Advocacy groups such as Consumers Union celebrated the FDA’s decision.